Galen Wright, with over 32 years of forestry experience, is the president of Washington Forestry Consultants, Inc. in Olympia, Washington. 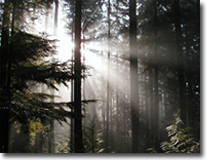 WFCI is a firm that provides forestry and vegetation management consulting services across the U.S. and Canada. Mr. Wright has a B.S. in Forest Management and a M.S.F in Silviculture and Forest Soils from the University of Missouri-Columbia. He has authored over 18 publications and recently has made over 69 formal presentations on the subjects of utility vegetation management, forestry and urban forestry. He is a Certified Forester and Board Certified Master Arborist, and holds a Pesticide Consultants license. Mr. Wright has been an active ISA member since 1988 and served on the PNW Chapter Board of Directors. He currently serves as President of the Pacific Northwest Chapter of the ISA. He is a past-chairman of the SW Chapter of the Society of American Foresters, and a member of the Association of Consulting Foresters of America, the American Society of Consulting Arborists, and the Utility Arborists Association. Over the years he has provided expert testimony at depositions, arbitrations, and trials in dozens of cases involving trees and vegetation.